Why is Winter the Top Season for Proposing? If you’re planning a small wedding for your second time around, you’re probably scaling some things back. However, you still need to “cut the cake,” a right of passage for every newly-married couple. The solution? A single-tiered cake! And just because it’s small, doesn’t mean you have to sacrifice any style. Every single-layer cake deserves full cake treatment, from fondant to frills, piping and toppers. 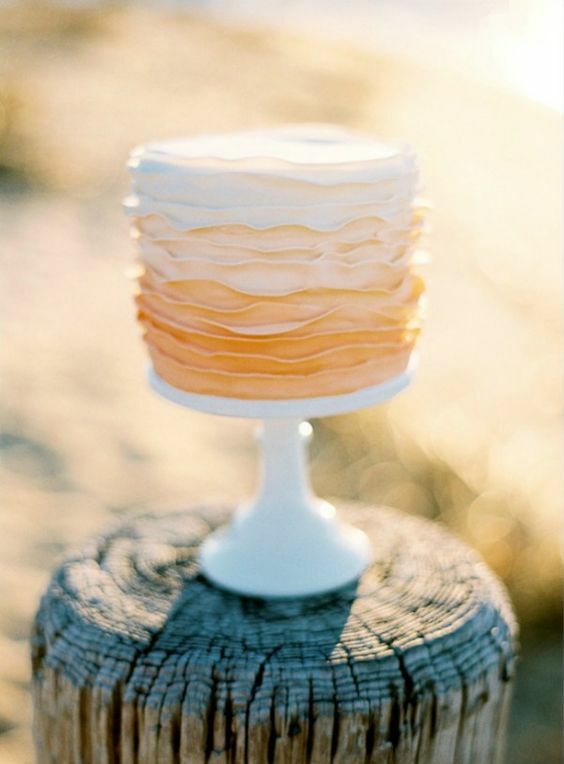 A decked-out single layer is just as stunning as a multi-tiered confection. Since there won’t be multiple layers of different flavors to appease your guests’ varying palates, select a safe cake flavor that appeals to most; or, serve a couple dozen of a variety of cupcakes on the side. Place a double order of your single tier — one to enjoy on the big day and one to freeze and eat on your first anniversary. Now for the pictures. Take a look at these mini cakes we’re seriously sweet on. Should Guests Bring Gifts to Your Second Wedding?